Home Newsletters Spice Up The Holidays with Mindful Chili Sauce! 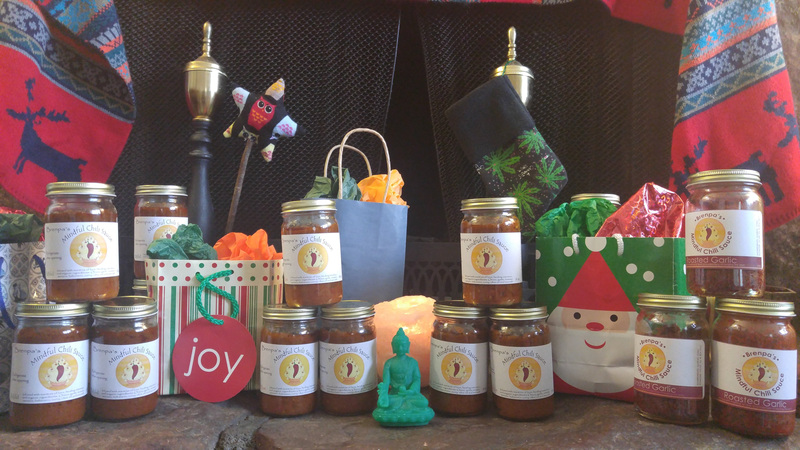 Spread the gift of our Mindful Chili Sauce this holiday season and make sure the chili lovers in your life are taken care of with an organic, local, rare and delicious Tibetan delicacy. Great as a stocking stuffer, or order several for a gift box, this unique blessed treat is a present everyone is joyful to receive! 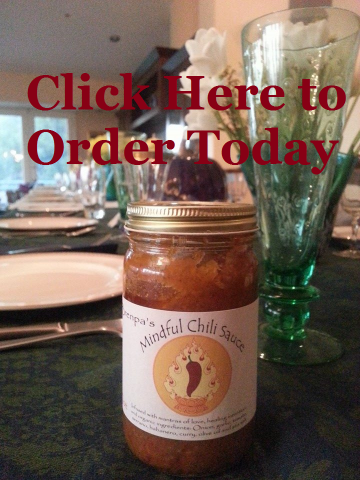 Want ideas on how to use our Mindful Chili Sauce? Check out the many recipes we have on our website to get the creative juices flowing! This time of year can serve as a reminder to check in with what really matters, and connect with that deep unconditional love inside of each of us. It’s a time to practice deep listening, forgiveness, generosity and feel the joy which comes from giving with an open heart and no expectations of receiving in return.